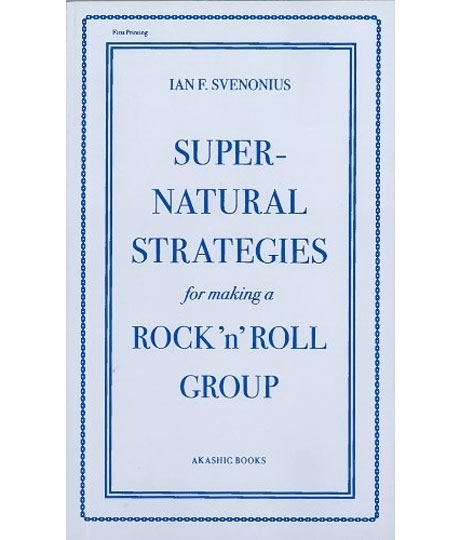 Ian Svenonius [who you probably know from Nation of Ulysses, The Make Up, Wierd War, Chain & The Gang, his old VBS show Soft Focus… guy does a lot] has a brand new book available from Akashic Books titled Super-Natural Strategies for Making a Rock ‘n’ Roll Group. 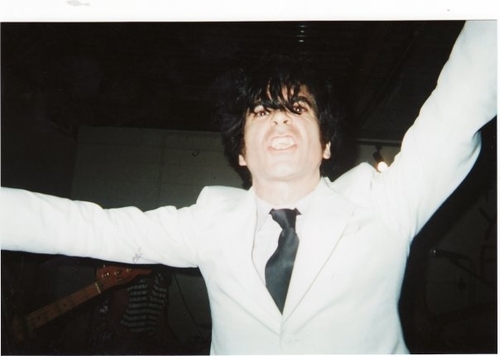 As you probably gathered from the title – it’s Ian’s advice and guide to help you becoming the true rock and roll superstar you’ve always wanted to be. There’s a commercial for the book at the bottom of the post with Ian explaining some of the material covered inside the new book [it’s all set to a catchy little song too] Ian had another book released back in 2007 titled The Psychic Soviet that was composed primarily of Ian’s essays and writings that’s also worth checking out. Anyway – get to reading… or get to learning how to read… and pick it up here.